The Pro-Ears Pro 200 utilizes a spring form metal band for increased compression and a better seal. Easily folds up into a compact package for storage. The decreased high frequency filtering may be beneficial for those with high frequency hearing loss. Pre-set to 15db amplification, dual circuit boards and volume controls and a 5.5 millisecond attack time. 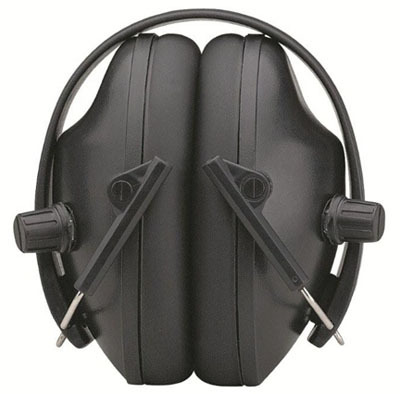 An excellent value hearing protector! NRR 19. Made in the U.S.A.!